Step back in time as you cross the bridge to Sunset Beach, a quiet vacation destination with small town charm and a laid back atmosphere. 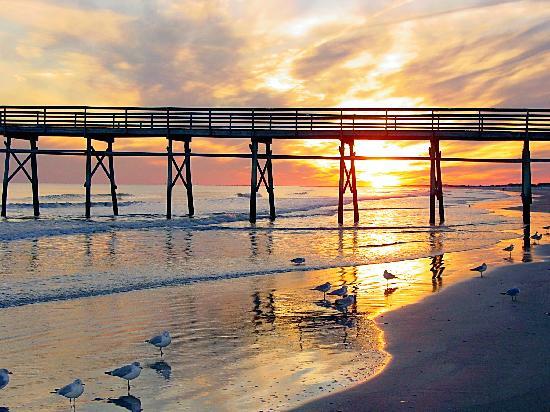 Scenically situated between the ocean and the Intracoastal Waterway, Sunset Beach offers plenty of water activities for all its visitors, young and old. Miles of oceanfront with soft sand and warm waters make this the ideal destination for swimming, body boarding and surfing. Explore the Intracoastal Waterway by canoe, kayak or paddleboard. Sunset Beach Fishing Pier is the perfect spot for angling or nature lovers can quietly cast a fishing line while viewing the many unique birds in their natural habitat. Nearby Bird Island offers incredible birding, kayaking, hiking and shelling with pristine white sandy beaches, natural dunes and 1000 acres of uninhabited beauty. 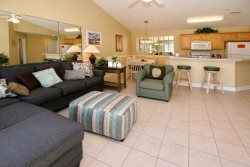 View our full collection of Sunset Beach Vacation Rentals. Despite its small town atmosphere, Sunset Beach offers all the amenities to make your vacation perfect. From cafés to coffee shops, excellent restaurants and eclectic galleries, Sunset Beach offers more than just a beach vacation. Watch the heavens open up to you at the Ingram Planetarium. Enjoy music under the stars at the village park, tee off at one of the many nearby premier golf courses, join a yoga class on the beach or step into history while you explore haunted houses on a Ghost Walk. Or simply, take it slow, build sandcastles and quietly watch the nesting turtles as you sip sundowners to the beauty of a spectacular sunset.